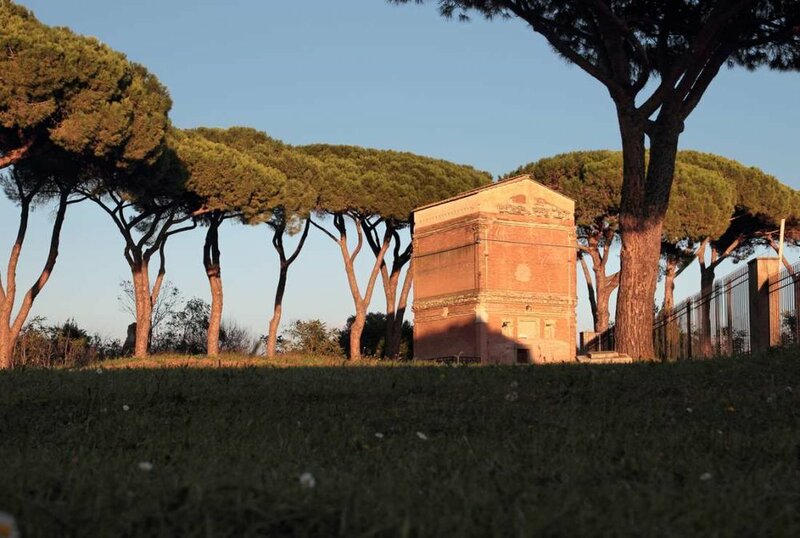 In addition to the Coliseum and the Roman Forum, tourists exploring Rome and Italy’s greater Lazio region can now be among the first public visitors to ever step inside an important ancient tomb. As Lonely Planet reports, the two-story vault, known as the Barberini Tomb, dates back to the 2nd century BCE. After receiving a much-needed facelift, it’s now open to history lovers for the very first time. During the mid-19th century, scholars excavated a group of elaborate Roman tombs at the ancient Italian city of Praeneste, also known as Palestrina. Situated along the Via Latina, an important Roman road, they contained fine furniture, golden jewelry, and other luxurious items. These structures included the Barberini Tomb, which is also referred to as the Corneli Tomb. Today, it’s the only one among this group that's still largely intact. The Barberini Tomb received its name from the princely Barberini family, who were the last known landowners of the surrounding estate. (Today, this land is part of a public archaeological park.) It’s well preserved “because through the centuries it was always used as a shelter for agriculture and sheep-farming purposes, up through the 1800s," said Francesca Montella, the archaeologist in charge of the Barberini Tomb’s restoration, according to the Agenzia Nazionale Stampa Associata. In addition to its two stories, the Barberini Tomb contains an underground funerary chamber with a mosaic floor, which once contained a stunning Roman sarcophagus. (It was moved to the Vatican Museums during the 1700s.) There are also frescoes portraying animals, plants, and mythological figures. Conservators spent two years restoring the Barberini Tomb, a process that included installing a lighting system and rebuilding its staircase and collapsed ground floor. The nearly $300,000 project will be completed sometime in 2018, but in November the tomb opened to visitors, who can now make reservations to take a guided tour of the building.